Full disclosure. I own two Crux Ark30 suppressors and have run them hard for several years. I frequently move them between a number of different hosts – bolt guns, AR-15 and AR-10 platforms, and a variety of calibers. The Crux Ark30 never fails to perform as expected with zero problems. It is lightweight and accurate (specifically, very little point of impact shift). My suppressors are Ark30 models. The comparable (identical) suppressor at the Silencer Shop is called the Ark Neo. According to the owner, the Ark Neo is for the retail market while the Ark30 is for military and law enforcement. For all practical purposes of this review they are the same product. The Crux Ark30 is a multi-caliber 7.5″ monocore titanium suppressor weighing only 12 ounces. Tough enough to run on a shorty SBR. Full-Auto rated with the integrated PMS brake installed. 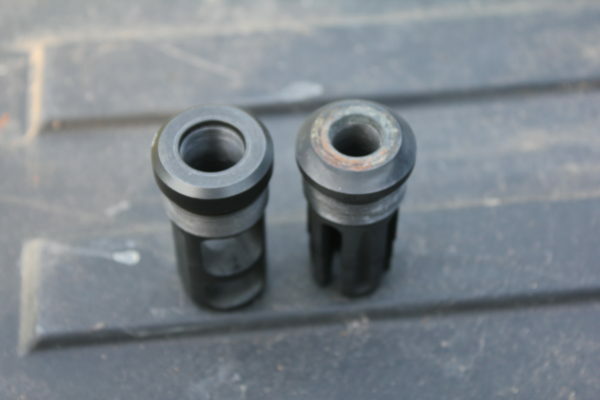 The awesome Precision Mounting System results in only 5.5″ added overall length. The Precision Mounting System is a winner. It is absolutely NOT a Quick Attach system! However, it is strong with no teeth or locking mechanisms to fail. Have you ever seen a can launched downrange because some tab wasn’t clicked in properly? Can’t happen with the Crux. The conical design perfectly aligns the bore of the suppressor to the bore of the firearm resulting in very little point of impact shift. This borders on hearsay because I wasn’t actually there, but I heard first-hand reports of guys hitting steel at 1200 yards, loosening the Crux suppressor a half turn or so, and banging the steel on the next shot. And then loosening it a bit more and still on target. 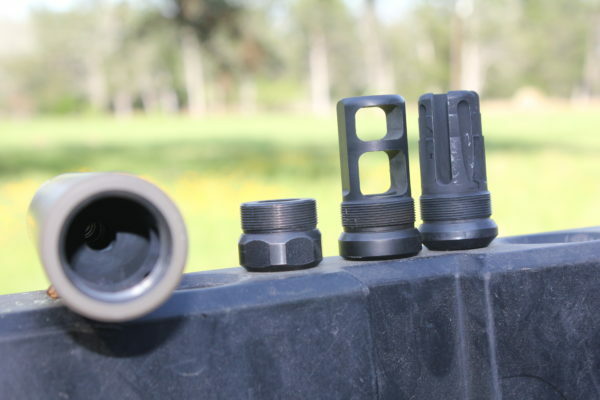 I use a PMS Flash Hider on barrels over 16″ and the PMS Brake on my SBRs. The suppressors can then be easily moved between hosts. 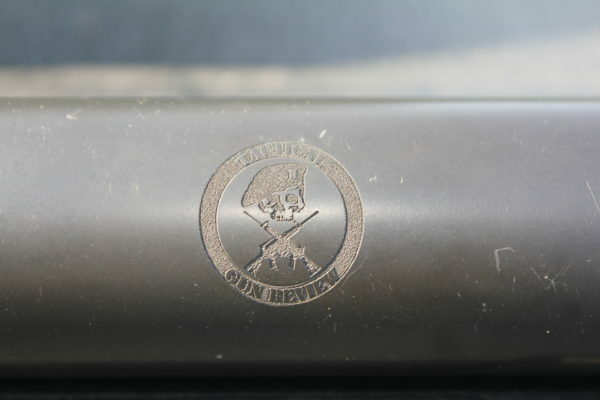 Curtis was kind enough to engrave the Tactical Gun Review logo on one my Crux suppressors. Looks great! 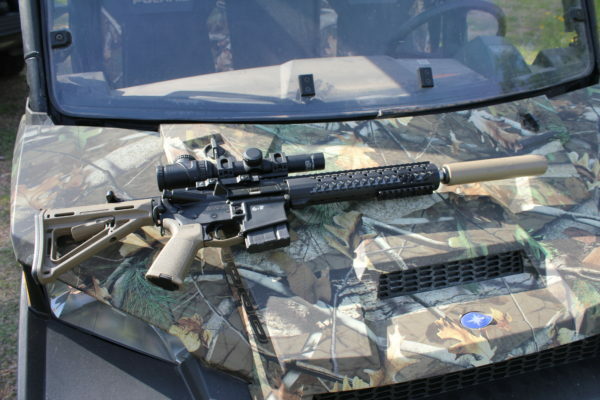 Sound reduction is dependent upon caliber and barrel length. 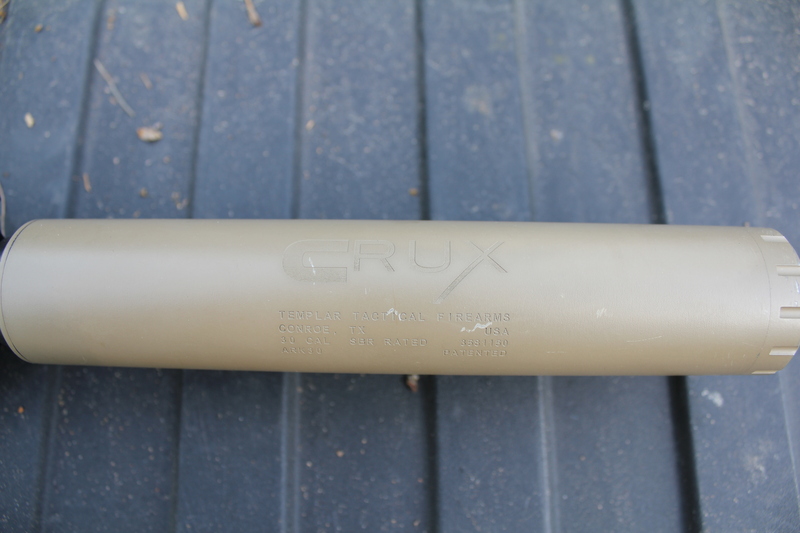 Crux suppressors are finally available at the Silencer Shop.